Mine the caves of the rocky highlands and forge the materials you find into glorious jewelry to please the Dwarf King. 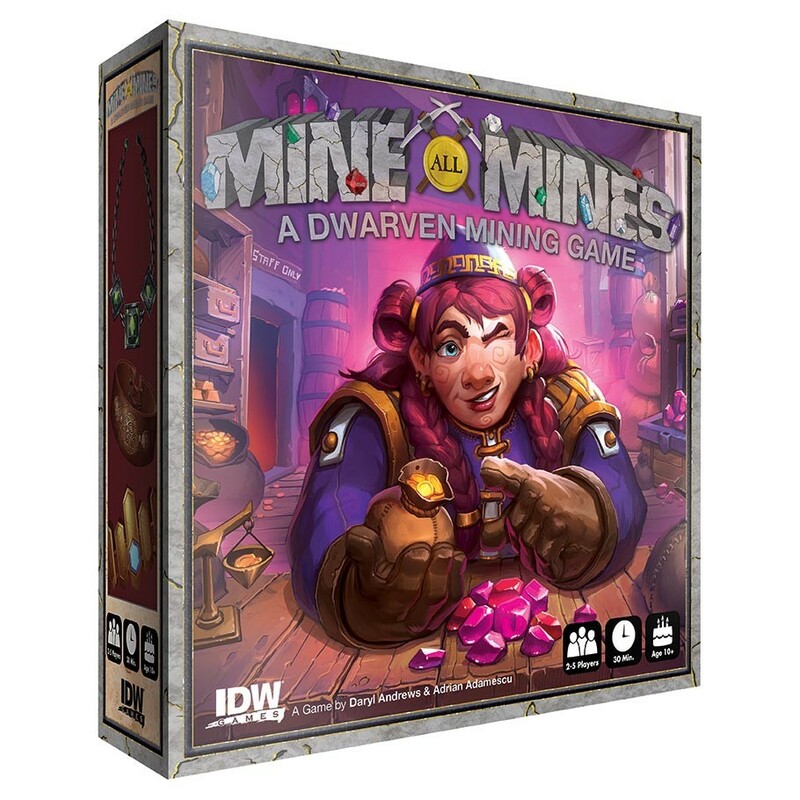 Mine All Mines puts you in control of a clan of dwarves who you'll send deep into the mountain to mine for precious minerals. Each round you'll go deeper into the mines to reap bigger rewards, benefiting off the work of the players who've gone before you. Will you choose to keep the game friendly or will you profit by picking their pockets instead?